Australia, as part of the British Empire, fought in this dreadful war for over four long years, from 5 August 1914 to 11 November 1918. Some called it the war to end all wars. The efforts of those on the home front were vital to continuing the war in Europe and the Middle East. The tour highlights how significant sites on the home front contributed to the course of the war and highlights the support provided by many who never saw a battlefield. 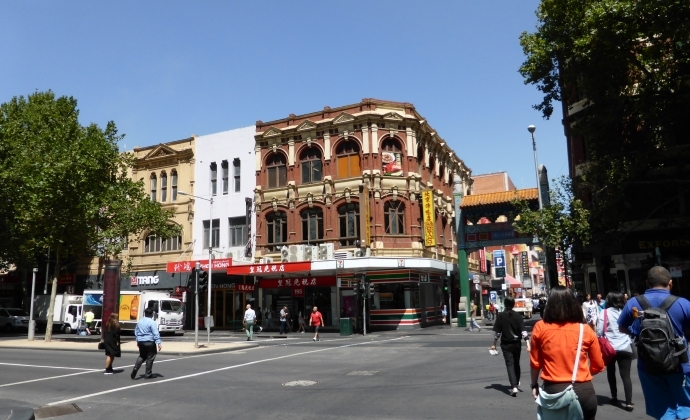 This audio tour will take you to seven major locations around the CBD of Melbourne, all of which played an important role during the war and still remain to tell the tale. The audio walking tour can be taken as a complete tour taking about one hour or, if you wish, you can drop in at any location. You can play this audio on your computer, transfer the files to a portable MP3 player, or view this site on your mobile phone or tablet. To download the files right click the link and select ‘save target as’ / ‘save link as’ and save to your computer. The files can be played by a range of media player software including: iTunes, Windows Media Player, QuickTime Player. Each page below will take to you the audio resource, the full text of the stop and additional images. 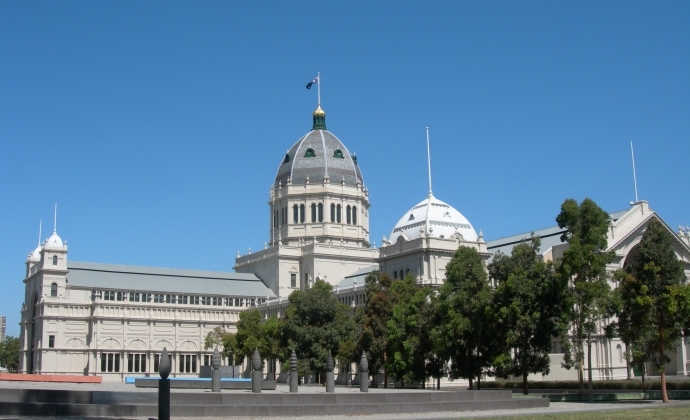 The Heritage Council of Victoria commissioned heritage interpretation and design consultants LookEar to develop this tour to mark the centenary of the first World War. 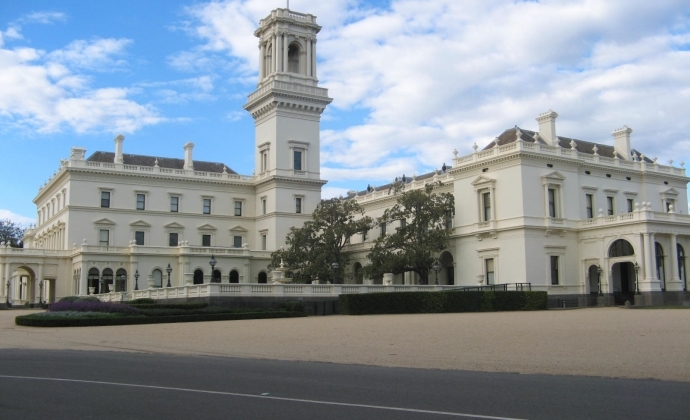 Government House became the national headquarters of the Australian Red Cross whose work boosted morale, not just for the serving soldiers who received its ‘care’ parcels, and but also for those at home, by helping locate missing soldiers especially after Gallipoli. 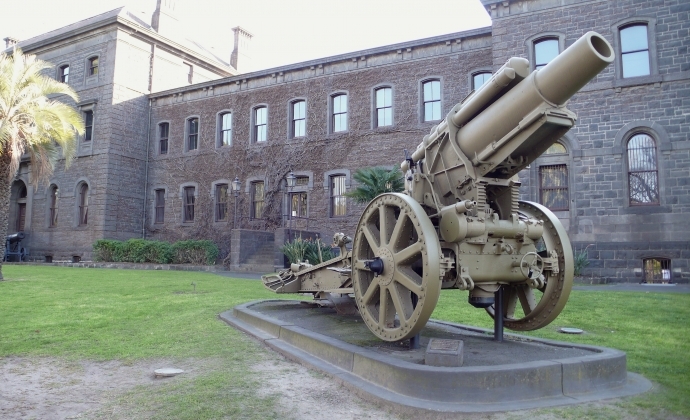 Built in the late 1850s and early 1860s as a base for the British Imperial Forces to defend the colonies, Victoria Barracks played a major role as the headquarters of the Department of Defence including the Australian Army and Royal Australian Navy during WWI. 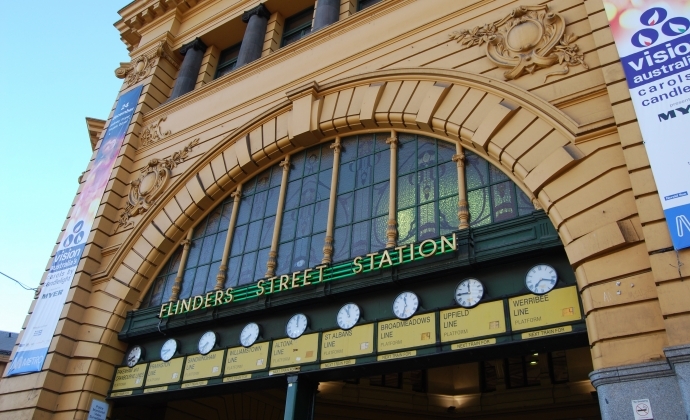 Flinders Street Railway Station, along with Spencer Street Station (or Southern Cross as it is now called), was busy with young recruits coming in and uniformed soldiers leaving for the front, often with a farewell kiss from a stranger. 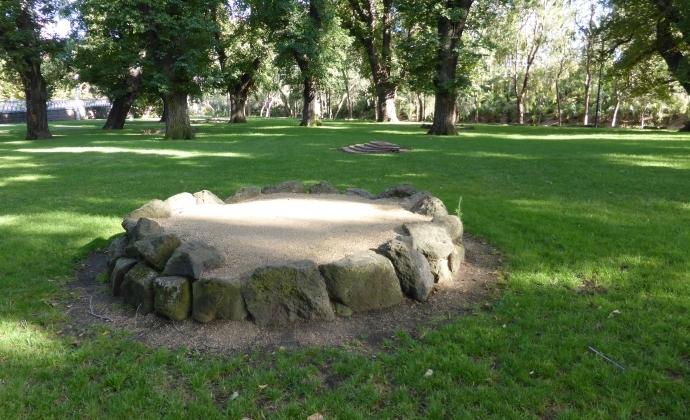 A major venue for public speaking from the late 1880s, Speakers Corner (then Yarra Bank) staged the country’s largest anti-conscription rally in October 1916. With more men needed to fill the ranks, conscription seemed the only answer, but Australia twice voted against it. 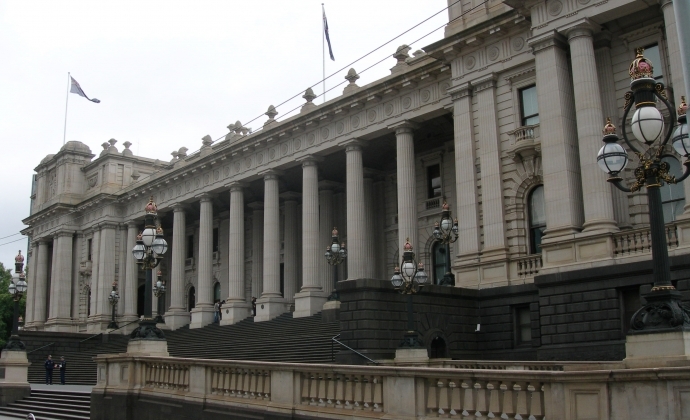 During WWI, as the home of the Commonwealth Parliament, Melbourne was where Australia declared war on Germany and passed related legislation. Parliament House witnessed protests and unrest but then saw celebrations for the Armistice and returning personnel. 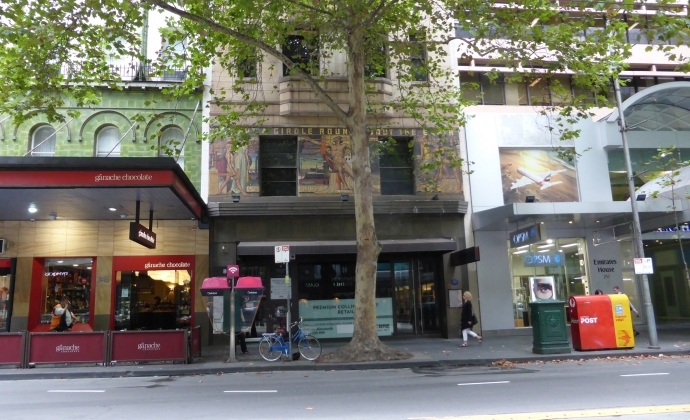 Melbourne’s major newspapers at the time had offices in Collins Street – The Age at No 239 -241 and The Argus at No 76. It was also the venue for large farewell parades as soldiers marched through the streets heading for Port Melbourne and the waiting troop ships. 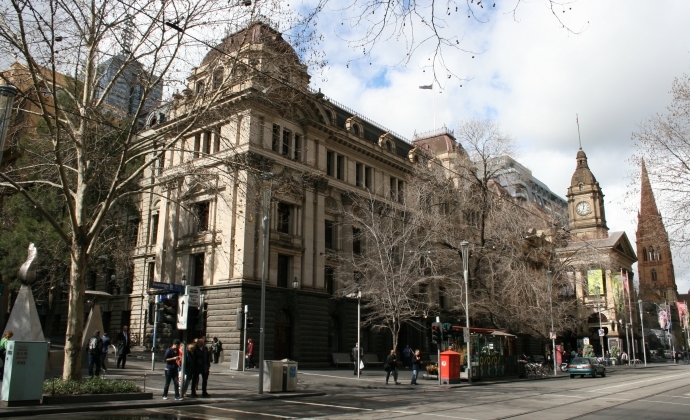 Young men were encouraged to enlist and Melbourne Town Hall was a major recruitment centre. It was also the Victorian centre for the Australian Comforts Fund (originally the Lady Mayoress’s Patriotic League) which organised ‘comforts’ for soldiers on the battlefields. 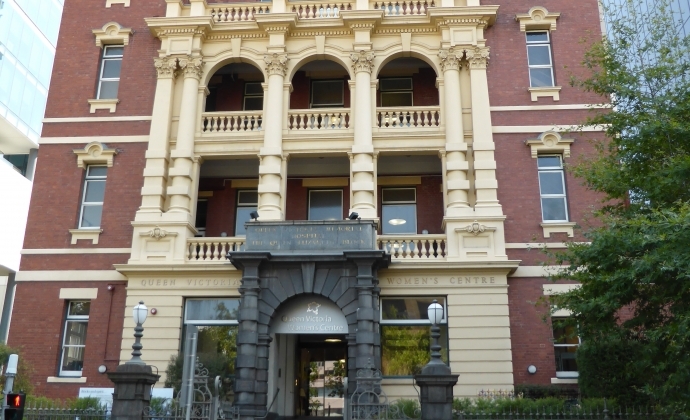 Melbourne Hospital acted as the Military Base Hospital and, with many other hospitals, served as training centres for nurses and repatriation hospitals for wounded returned servicemen. With demand for doctors overseas, the Red Cross auxiliaries played a vital support role. Known as ‘Red’ Russell Street, it was the home to many radical left-wing groups and organisations. Vehemently anti-war and anti-conscription, these groups played influential roles in the defeat of the two conscription referendums.